Hedge bindweed grows and scrambles over hedges, shrubs and trees at a very fast rate, choking plants quickly. It has large heart-shaped leaves and white trumpet shaped flowers throughout summer and early autumn. 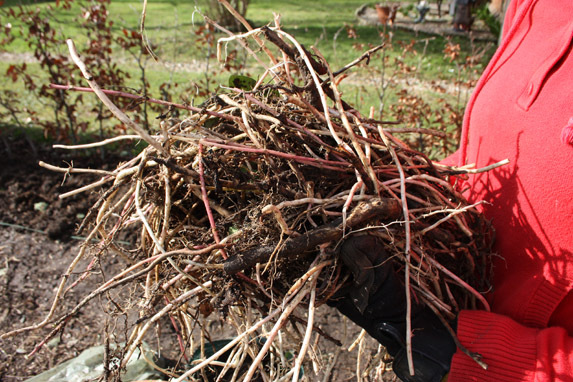 This form of bindweed spreads from underground stems called rhizomes, or directly from its roots. Every section of the underground stem is capable of producing shoot growth, forming new plants. The flowers can produce seeds, remaining viable in the soil for a long period of time. Control by hoeing continuously throughout the year to weaken the plant. 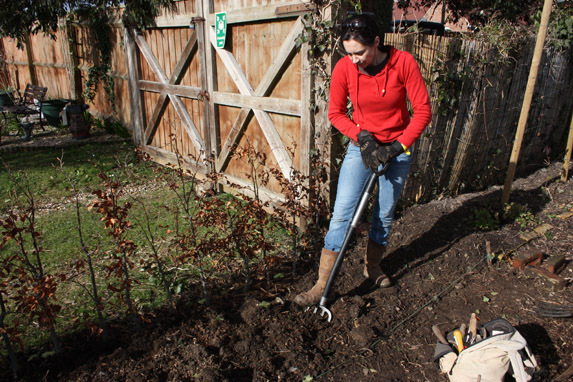 Remove as much as possible, using a fork or spade. If this weed is a real nuisance, insert solid barriers at least 18in (45cm) deep into the ground along fences to stop it spreading from neighbouring land. If you need to use a weedkiller, choose a non-selective one containing glyphosate, applied to foliage. It will spread through the plant, killing it off. Avoid spray drift onto other plants. Spraying is most effective when the bindweed is in flower. Try Bayer Glyphosate Concentrate, available in garden centres.